I found myself doing this with Aditi today. As I have previously moaned on here, getting that kid to eat protein that isn't milk based is a serious challenge. Even though she's generally an easy kid to feed, sometimes she has to be coaxed to eat... especially when the weather is hot or she's knackered. And of course, all that crabbiness translates into crabby mum too. 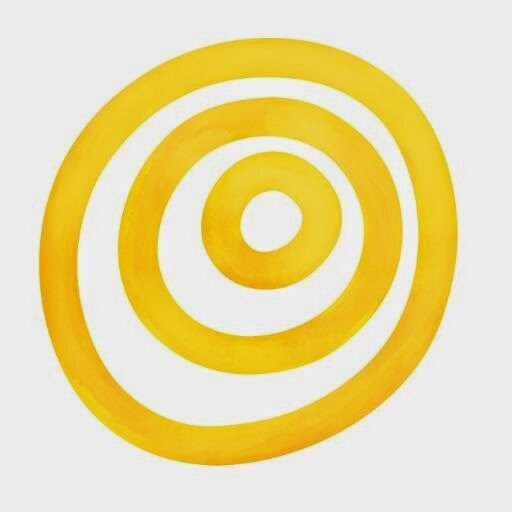 So my latest coaxing is something most mums will recognise. Come on now - one bite for grandma, one bite for grandpa, one bite for mummy, one for daddy, one for the cat... and so it goes on until the bowl is empty. And then you wonder how long before they catch on to this one, like they did with the 'ooppeeenn the tunnnnelll, train coming through'! Well, it works, and I refuse to think of anything else beyond that! I make this dish when I want a quick, delicious and nutritious dinner that doesn't stress me out. 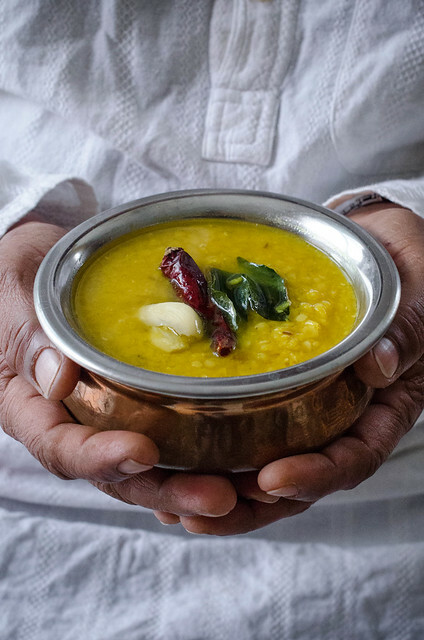 And what better than that ultimate Indian comfort food, dal? Felicity Cloake from the Guardian rhapsodizes about it, and I agree with her. There something inherently comforting about a delicately spiced, creamy, warm dal that sends every Indian back to their mum's bosoms without fail. Pretty much every household in India will have their own recipe for dal, and woe betide you if you dare serve anything different! I have had dal in many places, and always sniggered a bit in the back of my mind about how mine reigns supreme over theirs. And of course, I'll bet you anything that my Indian friends have thought the same about their (or their mum's) dals when they come and eat at mine :-) Its the law of the jungle, everybody's mum cooks the perfect dal that outshines yours any day [insert snooty look here] Its a good thing that Kay has no ma ki dal (mother's dal) to compare mine against. Felicity's article pretty much covers the dal debates comprehensively. And yet, take a look at the comments on that article and you'll see why there are dal debates in the first place. Literally everyone was going on about why their way of cooking dal was the best. This, here, my recipe, and its been perfected over all the years I have been cooking. 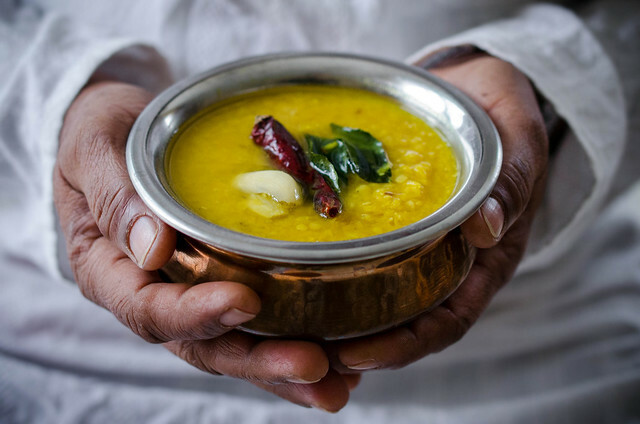 I started off with a very very basic dal recipe off my mum, and then as the years passed, I added and subtracted and read and thought and cooked and cooked some more, until I eventually now feel ready to share this recipe here on this blog. I am still going to add the disclaimer though. This recipe will, in most probablity not taste anything like the one your mum or friendly neighbour made. But mine is still pretty good, and so I want you to keep an open mind when eating it, deal? Wash the dal in several changes of water. Place the washed dal in a heavy pot, then cover with cold water. Cook for anywhere between 20 - 40 minutes, until the dal is mushy and completely cooked and tender. Keep aside. If there is too much water, boil rapidly, reducing the dal down to a creamy consistency. Meanwhile, heat the 1½ tsp oil in a pan, and add the onions. Fry for about 5 - 7 minutes, until the onion is lightly coloured. Add the garlic, ginger and chilly (if using) and the ground cumin and turmeric and chilli powder. Sauté for about 30 seconds. Add the chopped tomatoes to the pan, and cook, stirring for another 5 - 7 minutes, until the tomatoes are cooked and mushy. Pour the tempering over the masala dal, and cover with the lid. Stir it all together before serving. Dals can be served with pretty much any Indian breads or rice, and I have also had it on its own like soup. 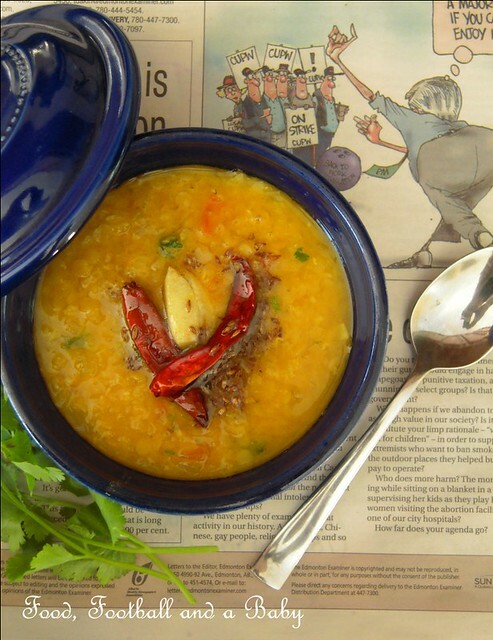 I use masoor dal or split red lentils, as they cook quickly, and I don't have to wait around. However, I have made this dal with yellow split peas (mung dal) and its been brilliant too. Make sure that you keep topping up the water for yellow peas, and cook for about 1 - 1½ hour until the dal is fully cooked and tender.Mash the dal up before seasoning. I have also used a combination of half yellow peas and half red lentils. Make sure you add the red lentils halfway through the cooking process (as it cooks faster) so that both dals finish cooking together. A pressure cooker works brilliantly for cooking dals, but remember to reduce the water a little bit, as the cooker will retain water, as opposed to a pot which allows the water to evaporate. Follow the pressure cooker instructions to get the best results. What an honour to get this recipe from you. I simply adore dal but have only made it once, with mixed results so I must try your version. I bought chicken thighs last night to make your chicken dish. Can't wait!!! This I will try! It was the first Indian dish I ever cooked from scratch some 28 years ago for my brother and his wife; although it was good, having read your recipe and Felicity's article I now understand why it wasn't as good as it could be. Thank you. With protein and Aditi, stupid question, but is it possible that scrambled eggs might work? Thanks a lot for this recipe - I've never been entirely happy with my dal efforts in the past so this should improve matters a lot. I'm not judging against family recipes, though, I'm judging against restaurants and they vary a lot. The chef at my local restaurant won't tell me his recipe, although I know he cooks black lentils for 30 hours. Now I can tell him that I've got Michelle's secrets so who needs his? Oh my goodness this sounds SO good - I love these flavors - yes, I find myself doing thing my mum did all the time - it's a little unnerving! Dom, thanks. Hope the chicken works for you. Its one of my favourite dishes. Chumbles, it was an excellent article from Felicity. Even I learned a lot from it. About the eggs, Aditi has decided that they are the enemy (this from a kid who used to devour them!) and refuses to touch them. So alternatives have to be though of! Dal is one of my faves. Hi, I've just come over from Dom's blog. We love lentils and we love dal, although we don't eat it enough, we love spicy food! I'll be adding this to my list of "must try" foods! If you have time stop by and say hello. I love company and new friends are always welcome. I love that you used newspaper for your surface in these photos! the color of the dish looks incredible, it may be down to what Melissa says about the paper... it makes the dish pop out. I don't mean to be dense, but is a garlic flake the same as a garlic clove? Yes it is. Thanks for pointing that out. I've been meaning to rewrite that for a while. I love the dal masala which is served in my favourite North Indian restaurant as "Dal Special". It is not only creamy but possesses a wonderful "smokey" flavour. Would/could this be obtained by adding ground black cardamom seeds into the fried onion mixture at the same time as adding the other spices? Any advice will be very gratefully received.